Naked or otherwise. Locals reveal their go-to empty beaches, secluded waterfalls, and non-cheesy rooftop pools. Meadow Island, Freeport, N.Y.; drive: 45 mins. Ponquogue Beach, Hampton Bays, N.Y. drive: 1 hr., 50 mins. Fort Wadsworth Beach, Staten Island; drive: 40 mins. Old Field Point, Old Field, N.Y.; drive: 1 hr., 20 mins. Devil’s Glen, Weston, Conn.; drive: 1 hr., 20 mins. Crystal Lake Wild Forest, Fremont, N.Y. drive: 2 hrs., 20 mins. Plattekill Falls, Elka Park, N.Y.; drive: 2 hrs. Coxing Kill Stream, Mohonk Preserve, New Paltz, NY. ; drive: 1 hr., 40 mins. Two residential pools that can be accessed for less than a broker’s fee. 550 W. 54th St.; from $125 a month. Membership at this luxury rental’s fitness club comes with outdoor-­ and indoor-pool access, plus steam room and sauna. 380 Rector Pl. ; $910 a year. Hit the gym, then the pool: Annual membership at Battery Park City’s Liberty Terrace includes everything from Pilates to treadmill access, on top of an outdoor athletic pool. Well, if the snow's good for one thing this late in the season, it's creating epic whitewater rafting conditions on the Hudson River in the Adirondacks. Each spring, the Hudson River Gorge swells with melting snow and ice, surging downriver to generate Class IV and V rapids. The "Big Water" season lasts through May, and there are quite a few whitewater rafting guides and outfitters who are more than happy to share their love of the river. Adventure Sports Rafting Company out of Indian Lake brings more than 25 years of experience to the Hudson River, offering exciting whitewater rafting trips and the best safety record in the New York whitewater industry. All rafting guides are licensed in New York State, and are First Aid and CPR Certified. North Creek Rafting Company out of North Creek boasts talented guides with navigational savvy, top of the line equipment and organized lunches for rafters - just a few of the reasons why they've received nothing but praise for their expeditions down the Hudson. Beaverbrook Outfitters in the Lake George Region is the number one attraction in Wevertown, earning high marks for their experienced and professional guides. Renowned for friendliness and attention to detail, Beaverbrook is one of the top whitewater rafting companies operating on the Hudson River. The "Big Water" season lasts through May on the Hudson River. Wrap in a short getaway with a whitewater adventure and book a rafting package to save yourself time. 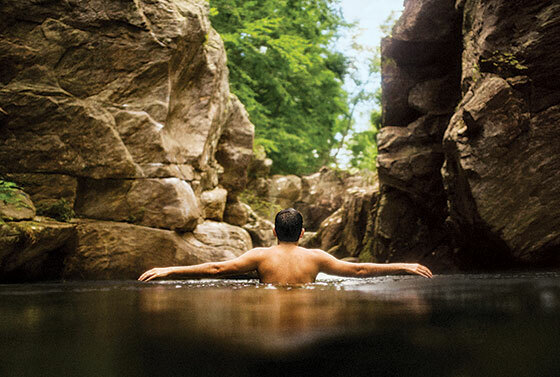 The Copperfield Inn's Adirondack Adventure Package on the Hudson River Gorge includes luxury accommodations, $50 in resort credit with a two-night stay, a full day of whitewater rafting for two, lunch on the river and equipment rentals. Value package prices start at $110.50 per person, based on double occupancy per night with a two-night minimum. 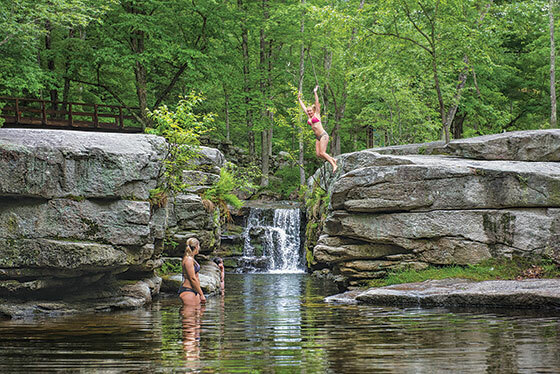 Garnet Hill Lodge's Special Spring Package offers two nights' accommodations at their cozy wilderness lodge, three days of breakfast and dinner, and rafting with Square Eddy Expeditions on the Hudson River complete with lunch and transportation for $225 per person. Package available after April 15. Fern Lodge's Rafting the Mighty Hudson package includes two nights of ultra-luxurious Adirondack accommodations overlooking Friends Lake, breakfast each morning, and a guided whitewater rafting trip down the 17-mile Hudson River Gorge with North Creek Rafting Co., complete with lunch, wetsuit and transportation to and from the river. Rates start $910 per couple. Available throughout the spring, summer and fall. Call for reservations. If you're keen to go for a whitewater rafting adventure, and then watch racers tackle the rapids, don't miss the 58th Annual Hudson River Whitewater Derby May 2-3, when it kicks off at three locations, in North River, North Creek and Riparius. The derby features several days of races for amateurs and advanced whitewater paddlers. On Saturday, the Slalom Races and the "Not-So-Whitewater" River Race, which will cater to beginner and intermediate rafters, and feature a 2.5-mile race through moving water on the Hudson River just south of the traditional Slalom Races in North River the following day on Sunday. The Whitewater Derby Downriver Race kicks off at 11 am for novice and advanced competitors. There will be a guided hike for children with Colin Keegan on Saturday, October 25, meeting at 10 AM at Fort Lee Historic Park (Historic Park entrance is on Hudson Terrace just south of the George Washington Bridge — parking fee is $5 — click here for detailed directions). This hike will cover about 4 mi. in about 2.5 hrs. and is rated easy by the hike leader. This is a free program, open to all, and reservations are notneeded. Children must be accompanied by an adult. For more information: 201 768-1360 ext. 110 or ckeegan@njpalisades.org. 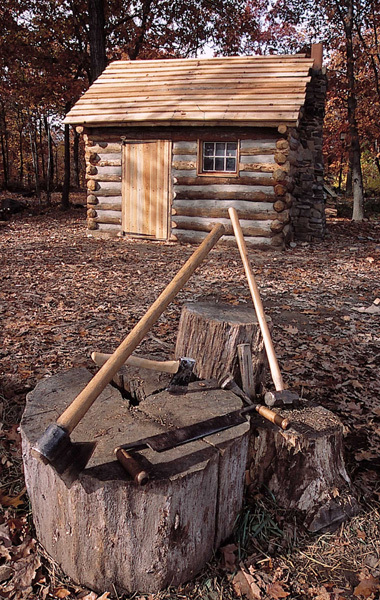 The interpretive staff at Fort Lee Historic Park will present a demonstration of some 18th-century everyday life skills that can help you after a disaster on Saturday, October 25, 1–3 PM at the soldiers’ encampment at the south end of the Historic Park grounds (Historic Park entrance is on Hudson Terrace just south of the George Washington Bridge — parking fee is $5 — click here for detailed directions). This is a free program, open to all, and reservations are not needed. For more information: 201 461-1776. 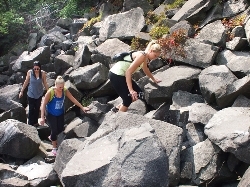 There will be a guided hike and rock scramble with Colin Keegan on Sunday, October 26, meeting at 10 AM at State Line Lookout in Alpine (accessible to bicycles and pedestrians via Old Route 9W or to cars from the northbound PIP near Exit 3 — click here for detailed directions). This hike will cover about 4 mi. in about 4.5 hrs. and is rated challenging by the hike leader (for experienced hikers only). Hikers should bring lunch and water and wear sturdy shoes. This is a free program, open to all, and reservations are not needed. For more information: 201 768-1360 ext. 110 or ckeegan@njpalisades.org. 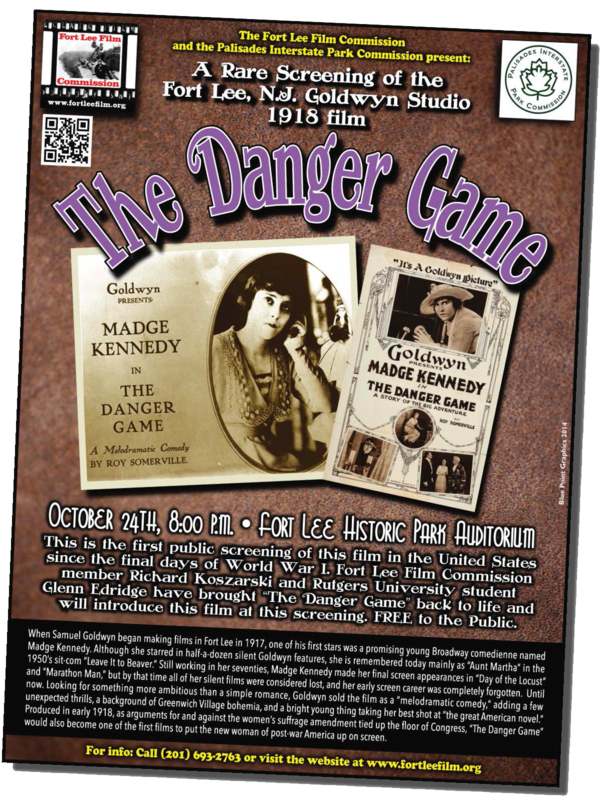 There will be a silent film program with the Fort Lee Film Commission on Friday, October 24, at 8 PM at the Visitor Center at Fort Lee Historic Park (Historic Park entrance is on Hudson Terrace just south of the George Washington Bridge — click here for detailed directions), featuring the world premier of a restored copy of The Danger Game (1918) — a Fort Lee film thought lost for almost a century! This is a free program, open to all, and reservations are not needed. For more information: 201 693-2763. There will be a guided hike with Eeric Nelsen on Sunday, October 26, meeting at 5 PM at the Kearney House (Alpine Picnic Area & Boat Basin — Alpine park entrance / PIP Exit 2 — click here for detailed directions). This hike will cover about 3 mi. in about 2 hrs. and is rated moderate by the hike leader. 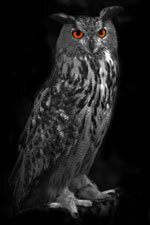 Hikers should bring flashlights. This is a free program, open to all, and reservations are not needed. For more information, or to confirm on the afternoon of the hike if weather seems questionable: 201 768-1360 ext. 108. Repaving of the Palisades Interstate Parkway in New Jersey remains in progress under the supervision of the New Jersey Department of Transportation. Motorists please use caution! Allow extra travel time – consider alternative routes. Check the Parkway Police Twitter feed for current updates. Reminder: The monthly park clean-up project with the Appalachian Mountain Club will be on Sunday, November 2, from 10 AM to 1 PM at Ross Dock Picnic Area in Fort Lee (Edgewater or Englewood Cliffs park entrances/PIP Exit 1 — click here for detailed directions). We provide trash bags, litter sticks, rubber gloves, and treats. For more information: 201 768-1360 ext. 110.